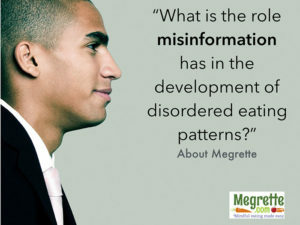 While on a recent online seminar, a participant asked, “Is there a handout I can give providers explaining how encouraging children to diet causes harm?” This question, and many more like it, have promoted me to dive into the research to learn the truth – What is the harm for children when they diet? The study found “Use of extreme weight control behaviors during middle adolescence predicted greater risk for these behaviors 10 years later during middle and young adulthood for the older cohorts of girls and boys.” When I read this, I thought, “Dieting is causing disordered eating and disordered eating in kids is disordered eating in adulthood.” Which is essentially what the study concluded, “The ineffectiveness of dieting for weight gain prevention during adolescence, the harmful consequences associated with disordered eating behaviors, and the high prevalence of these behaviors during adolescence have been shown in previous studies.” This study adds to this concerning body of literature by demonstrating the high prevalence of these behaviors continues from adolescence through young adulthood. As a diabetes educator, I have seen how weight stigma and disordered eating are re-triggered when a person is diagnosed with elevated blood sugar or diabetes. I firmly believe untreated yo-yo dieters and individuals who have disordered eating patterns are far more likely to develop Type 2 Diabetes than someone who doesn’t intentionally try to lose weight. Should you wish to explore this theory further, it is effectively explored in The Non-Diet Approach Guidebook for Dietitians by Fiona Willer, RD. Intentional weight loss is a funny concept that often needs to be unpacked to make sense. When a person sets out to “lose weight” as the primary intention, there is often no regard to how this goal will be accomplished. This means, weight loss, at any cost, is the measure of success. Yet, like our favorite four-legged canines, people come in all shapes and sizes. The desire to make people fit the standards of, say a Poodle, doesn’t make sense, especially if you are Bernese Mountain dog! If you want to learn more about this topic, there is a great video called “Poodle Science” which is helpful in understanding how health professionals can fall into the one-size-fits-all logic! Focusing on the future goal of weight loss creates unrealistic behaviors that do not promote long term health. These behaviors, which may start out with the desire to be healthy, are either abandoned because they are unsustainable or are increased to extremes so they are unhealthy. In short, when the focus is on a futuristic goal, and not the present moment, bad things, like disordered eating, happen. In the next post, I will explore why bad things happen and what we, as professionals, can do to help prevent it or correct it. Oh, and remember that question, “Is there a handout I can give providers explaining how encouraging children to diet causes harm?” Well, in January you will be able to get that BROCHURE! I mentioned I will be presenting at the EDO Pro Symposium and talking about how disordered eating can be re-triggered when working with diabetes. Registration opens in January! I hope you will join me! You can also sign up for my newsletter, Oh, That Will Work! or maybe take a dip in the self-care pool and sign up for The Mindful Eating Day celebration on January 25, 2018. This “day” is really a month-long opportunity to build a mindfulness practice, and experience first-hand what self-care is all about. To learn more, visit The Center for Mindful Eating.org.